Hiroki Totoki, the President and CEO of Sony Mobile, said the company has no plans to exit the smartphone business. Totoki covered a wide range of topics during an interview with Arabian Business. He said the firm is working hard to turn its smartphone business around. By the end of 2016, Sony expects to reduce headcount by 20% and operating expenses by 30% to streamline the business and the product portfolio. Totoki said smartphones remain a vital part of the company. "Smartphones are completely connected to other devices, also connected to people's lives — deeply. And the opportunity for diversification is huge. We're heading to the IoT era and have to produce a number of new categories of products in this world, otherwise we could lose out on a very important business domain. In that sense we will never ever sell or exit from the current mobile business." Totoki said the company plans to respond to fierce competition from Chinese companies by developing new technologies to help its products stand out. Sony will also pay attention to providing a better experience through the software of its devices, too. 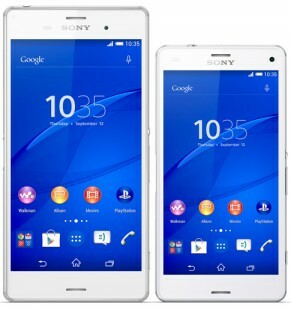 Sony recently announced the Z3v for Verizon Wireless and the similar Z3+ for other markets. Sony has made the Xperia Z3+ available through Amazon's U.S. web site. The phone is being sold unlocked and is compatible with GSM carriers, such as AT&T and T-Mobile. Verizon Wireless plans to sell a variant of the phone, called the Z3v, later this summer. It has a 5.2-inch full HD screen, 20.7-megapixel main camera, wide-angle 5-megapixel front camera, and a quad-core Snapdragon 810 processor with 3 GB of RAM. Amazon is selling it for about $640. Sony today said it will replace Kunimasa Suzuki, who leads the company's smartphone business. Effective November 16, Hiroki Totoki will be the new president of Sony Mobile Communications. Totoki already serves as Sony's corporate planning director and is a close confidant of CEO Kazuo Hirai, according to Reuters. The change is a reaction to slow sales of Sony's Xperia smartphones and tablets, which have negatively impacted the company's financial performance. Sony has already lowered sales forecasts for the year, and investors fear it will lower its outlook again when it reports earnings on Friday. Sony today committed to updating a wide range of its smartphones and tablets to Android 5.0 Lollipop. Some of the handsets slated for Android 5.0 include the Xperia Z, ZL, Z1, Z1S, Z1 Ultra, Z1 Compact, Z2, Z3, Z3v, and Z3 Compact. Sony says its Google Play Edition devices will receive Lollipop first, followed by the Z3 and Z2 series devices in early 2015. Sony today announced that Verizon Wireless will sell the Xperia Z3 as the Xperia Z3v. Verizon said the two companies plan to work more together, not just with smartphones, but with other products. For example, Verizon already sells the Sony Z2 tablet. 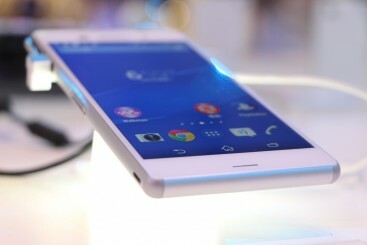 The Z3 smartphone, which Sony debuted last month, has a 5.2-inch full HD screen and is waterproof. It also features a 20.7-megapixel camera, compatibility with Sony PS4 Remote Play for gaming, and Sony's lifelogging service. The Verizon variant of the Z3 differs from the global model in that it features Qi-based wireless charging, while the global model does not. It also has minor exterior color variances. The Z3v will go on sale October 23 at most Verizon outlets. For a limited time, customers will receive a $200 discount if they purchase the Z3v handset and Z2 tablet together. Further, Verizon will sell the Sony Smart Watch 3 later this year. Pricing and exact availability of the Smart Watch 3 will be revealed later. Sony today announced its next-generation flagship smartphones at an event in Berlin. The Xperia Z3 family includes three devices: the Z3, Z3 Compact, and Z3 Tablet Compact. All three devices share nearly identical software features and many hardware features. The Z3 family are all water- and dust-proof and rely on Sony's Omnibalance design language. Some common traits of the Z3 and Z3 Compact include 20.7-megapixel Exmor cameras with a G Lens, 25mm wide-angle viewfinder, and the ability to ramp ISO up to 12,800 for improved low-light capture. The camera includes steady shot for image stabilization, and digital noise cancellation for superior audio capture. The displays use Sony's TriLuminos and Mobile Bravia technology. Both devices are certified with PlayStation 4 compatibility. They both have 2.5GHz quad-core Snapdragon 801 processors, as well as a whole array of wireless radios and sensors, such as LTE, Wi-Fi, and Bluetooth. Z3: The larger of the two phones has a 5.2-inch full HD screen with slimmer bezel and smaller overall handprint. It has a curved aluminum frame and boasts two full days of battery life. Z3 Compact: This smaller device steps the display down to 4.5 inches and 720p resolution, but keeps most other features of the Z3. According to Sony, T-Mobile will sell the Z3 will be sold in the U.S. None of the U.S. carriers have voiced support yet for the Z3 Compact. Both devices go on sale later this year.